A mouse, a squirrel, a duck, a chicken, and an elephant are sitting on the side of the road. Someone offers them a lift, but one prefers to stay. Who preferred to stay? The Elephant Stayed. If you didn't know, elephants are scared of mice. 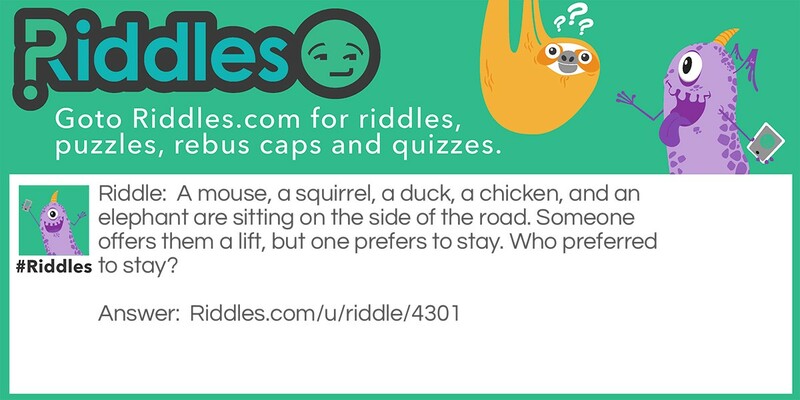 Who Stays Riddle Meme with riddle and answer page link.